SEATTLE, Dec. 12, 2018 /PRNewswire/ — JFrog, the Universal DevOps technology leader known for enabling liquid software via continuous software update flows, is announcing the coming availability of JFrog GoCenter, the first-ever central repository for software modules developed in the popular Go programming language. GoCenter is a free, open source and public service that will be provided for the broad Go community in early 2019, and is being showcased at KubeCon Seattle. Go, “the cloud programing language,” is the world’s single fastest-growing and fourth most popular software programming language, used by nearly two million developers (based on 2018 GitHub usage). To date, Go has lacked a single, public, trusted source for developers who utilize and manage Go Modules, which are Go-specific software packages. As companies continue to adopt Go, the need has arisen for Go packages to be more predictable, immutable and manageable in a publicly-accessible repository. Without a public, stable repository, developers need to re-package their modules over and over, wasting huge amounts of time and energy. Further, the absence of standards can damage the inherent trust of the modules, which may change at the source. GoCenter will provide support for thousands of Go-oriented projects, by building and validating Go modules and making them available on this public platform. Earlier this year JFrog announced support for Go within Artifactory, the universal enterprise repository manager. As the first repository manager to offer Go support, Artifactory will also include GoCenter as a default remote repository. This will allow millions of Artifactory users to set up private, in-house Go repositories that include modules from GoCenter for internal reuse within the organization. Contributions of projects to GoCenter will be a simple and public process, giving full transparency to developers and DevOps teams. The rapid contribution of new Go projects by the community is anticipated as developers freely utilize GoCenter. The repository will be populated with thousands of modules, including packages for popular technologies such as Kubernetes. JFrog GoCenter will be publicly available to serve the Go community in early 2019. For more details, see GoCenter. Provided to the community by JFrog, GoCenter will be a public repository for OSS Go modules, providing the world’s standard platform for Golang-based projects. GoCenter will be free to use and can be contributed to through an easy submission process. 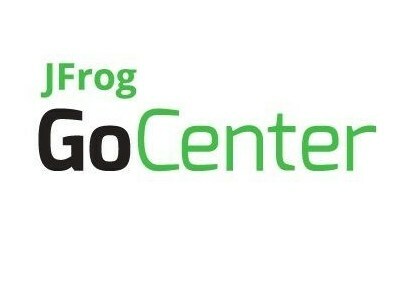 Learn more at gocenter.jfrog.com. JFrog is on a mission to enable continuous updates through liquid software, empowering developers to code high-quality applications that securely flow to end-users with zero downtime. JFrog is the creator of Artifactory, the heart of the end-to-end Universal platform for automating, managing, securing, distributing, and monitoring all type of binaries. JFrog products are available as open-source, on-premise, and on the cloud on AWS, Microsoft Azure, and Google Cloud. As the leading universal, highly available enterprise DevOps Solution, the JFrog Enterprise+ platform empowers customers with trusted and expedited software releases from code-to-production. Trusted by more than 4,500 customers, the world’s top brands, such as Amazon, Facebook, Google, Netflix, Uber, VMware, and Spotify depend on JFrog to manage their binaries for their mission-critical applications. JFrog is privately held with offices across North America, Europe, and Asia. Learn more at jfrog.com.